A journalist has left the regional press industry after working for a total of 29 different newspapers during his 45-year career. Barrie Farnsworth, left, has challenged others to match or beat the number of titles he served on over the course of his working life – which included stints editing titles in Worksop, Scunthorpe and Lincoln. His time in journalism has seen him work on titles across the Midlands, Lincolnshire and Sheffield, most recently on a freelance basis at the Tamworth Herald. 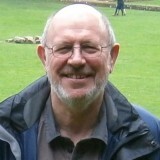 He told HTFP: “I have seen a lot of change over the past 45 years – but I have simply loved being a journalist. I think the only newsroom job I have not had is Sports Editor – and despite loving my cricket rugby and football, I have no regrets about that. “I have edited some great teams at Worksop, Scunthorpe and Lincoln – and I have also worked for some great editors, especially the late Peter Moore, the long-standing editor of the Grimsby Telegraph, where I enjoyed my role as production editor (and that strange title of Tera super-user too! ), and Gary Phelps, who has been a fine editor at the Tamworth Herald for many years. “I have also been lucky enough to have enjoyed what, with hindsight, was a golden period for journalists – although the last decade has been more painful for most. Barrie’s last staff role was on the Derby Telegraph before being made redundant in 2009, since when he has worked as a freelance. Truly a privilege to have worked with you and shared the odd beer with you, Bazza, and to benefit from your considerable wit and wisdom, and to witness your supreme editing talents and your unflappable, positive outlook under the severest of pressure. Any time you fancy another night out in Brigg, count me in! CONGRATULATIONS to Barrie Farnsworth for working on so many newspapers in his long, happy career. However, I think I can top his tally, thanks largely to working for two large groups. While with TRN in London, I was working for between 12 and 15 daily newspapers simultaneously. And when I moved to Cornwall for the ‘quiet life’ – some hope! – I found myself editor of no fewer than ten titles. I’ve also worked for three international agencies, thus ensuring that my byline appeared in dozens more newspapers around the world. Below is the list of papers/agencies I actually worked for as a staff journalist or freelance. The second list is of newspapers my byline appeared in, with clippings to prove it. There must be many more I never heard about. In spite of this long list, I know I’m not a world-beater in this regard. My old pal Ron Laytner, the well-known international freelance, has written for more than 300 titles. His amazing story is told in Pictures to Die For, available on Amazon. One of the best ‘Tera super users’ I might add. As impressive as both of these lists may be – and there is still a lot to be said for loyalty to one paper (where possible), I think we need a distinction here between writing stories that appear in numerous papers (or editions of) and actually physically being employed by them in the office rather than on a freelance or third-party basis. I think if it’s a case of the former then one might ask why Barry and John didn’t settle in one place – which is why I suspect the case is more the latter! Very best wishes Basra! Appreciate all your learnings, lucid tongue-lashings of lesser mortals and ability to receive free wine deliveries despite having long-since binned the column. Here’s to a long and happy one.